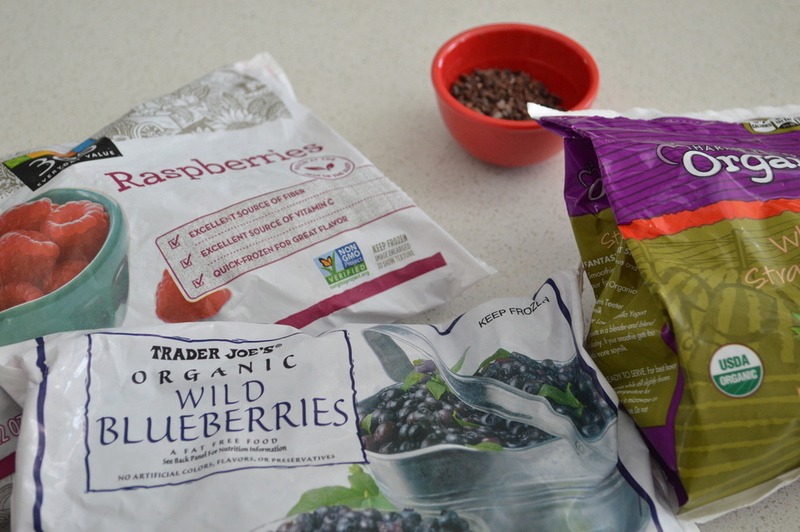 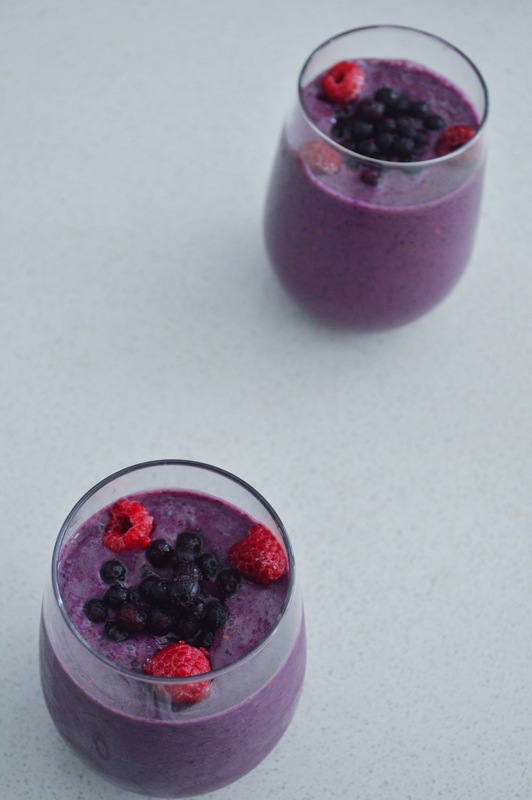 Sharing this Very Berry + Cacao Nib Smoothie with you that I blended up this morning! 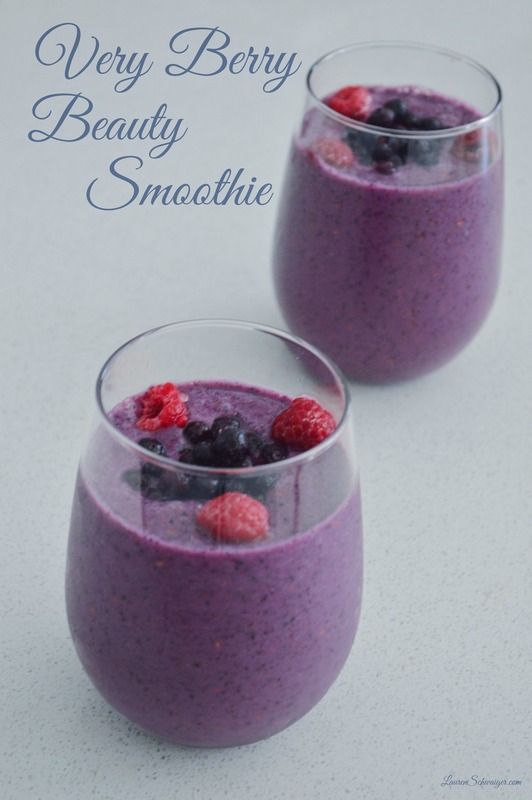 Loaded with blueberries, raspberries & strawberries this smoothie is full of beautifying, cancer fighting antioxidants & phytonutrients to help block those beauty stealing free radicals + keep your skin hydrated, youthful & beautiful for that coveted healthy glow from within! 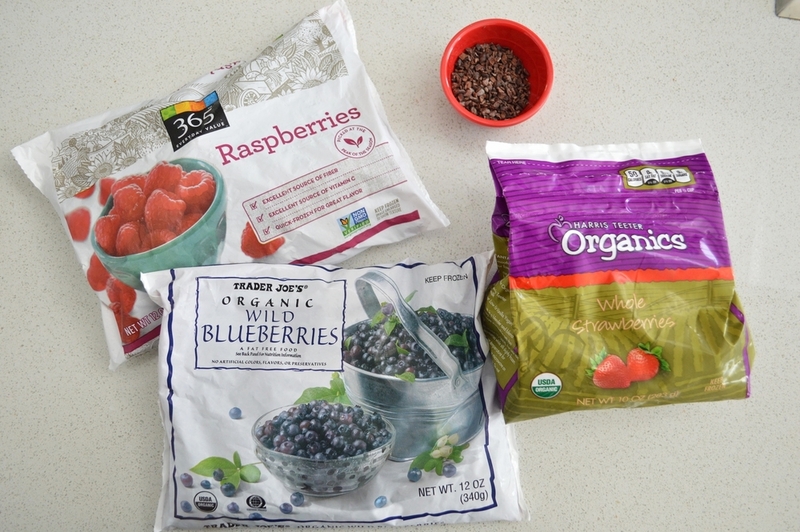 Compared to other fruits, berries are lower in sugar, full of fiber + have a high water content to keep you full longer. 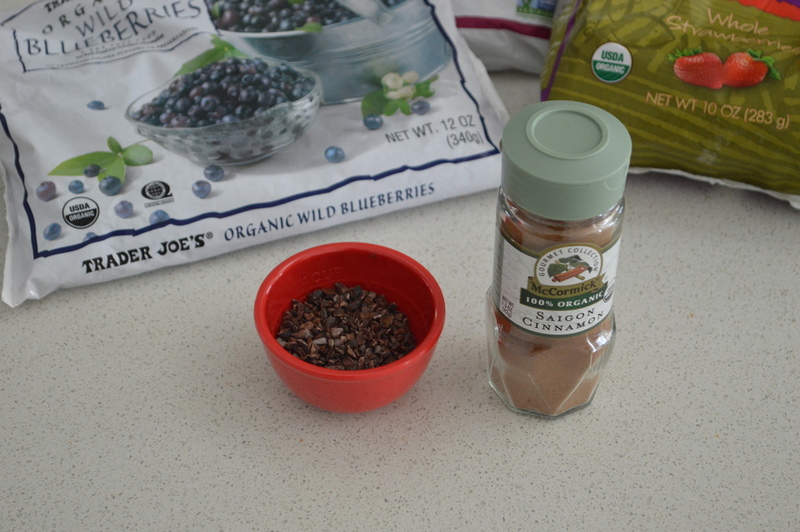 I prefer to actually eat fresh berries rather than blend them up so I used, organic frozen berries for this smoothie + raw cacao nibs & unsweetened, vanilla almond milk. 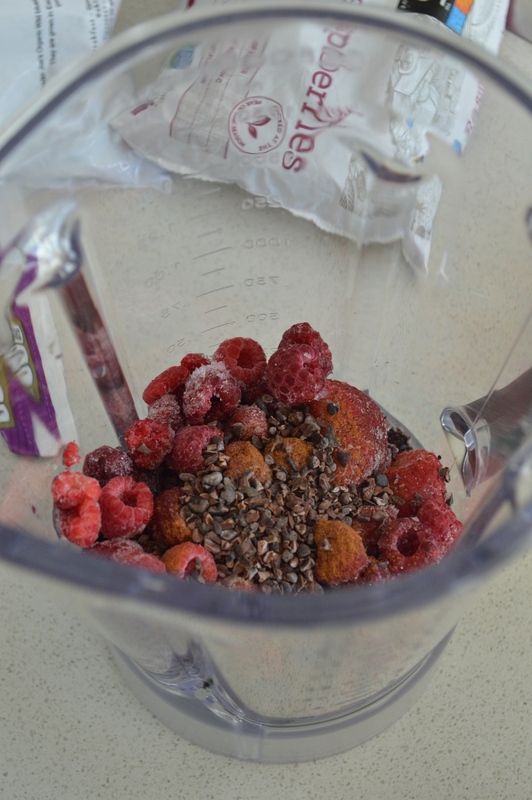 Super easy to make just toss everything in the blender, hit the button & enjoy!